A global mining exchange ABCC officially announced its plan to enter South Korean market. ABCC established a South Korean website last month and it is planning to launch a South Korean application within the next two weeks. ABCC, which has its headquarters in Singapore, is the fifth biggest exchange in the world after being launched just 5 months ago. It has a community composed of 12 languages and has a website in 4 languages including Korean. It currently has users from 89 different countries. It automatically pays AT Tokens to its users who trade cryptocurrencies. This is called ‘ToM (Trading Mining) transaction’. Transaction and mining take place at the same time. 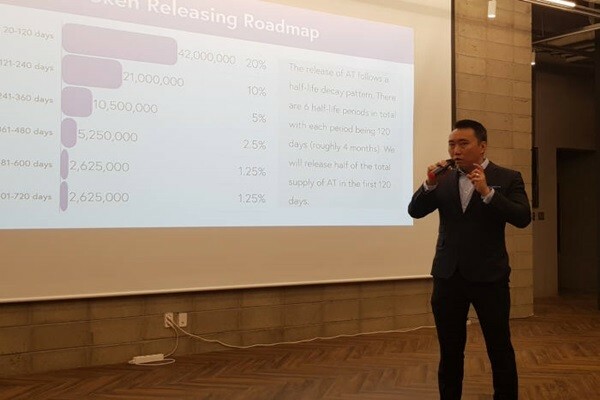 ABCC is going to issue 210 million AT Tokens until the 1st of July of 2020 and it will distribute 40% of them to miners. These tokens can be used to pay transaction fees or to purchase digital assets. After distribution is completed, 80% of ABCC’s commission is distributed to its users in Bitcoin, Ethereum, and Tether based on how much AT Tokens they hold. ABCC’s users can be compensated for mining and receive dividend income as well. ABCC controls amount of mining and speed to prevent sudden change in value of AT Token. It holds a half period every 120 days during issue period of AT Tokens. During the first half period, it is going to issue 20% of AT Tokens (42 million) and mine only 1.25% of AT Tokens (2.625 million) during the last half period. Snapshot takes place once every 6 hours. ABCC is also planning to have an insurance service and it is currently looking for insurance companies to work with. It has also incorporated security experts from banks and FinTech companies such as Ant Financial to strengthen its security.